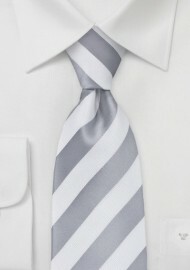 This silver and white striped tie is an ideal accessory for adding a pop of panache to any look. The crisp color scheme is versatile and contemporary. 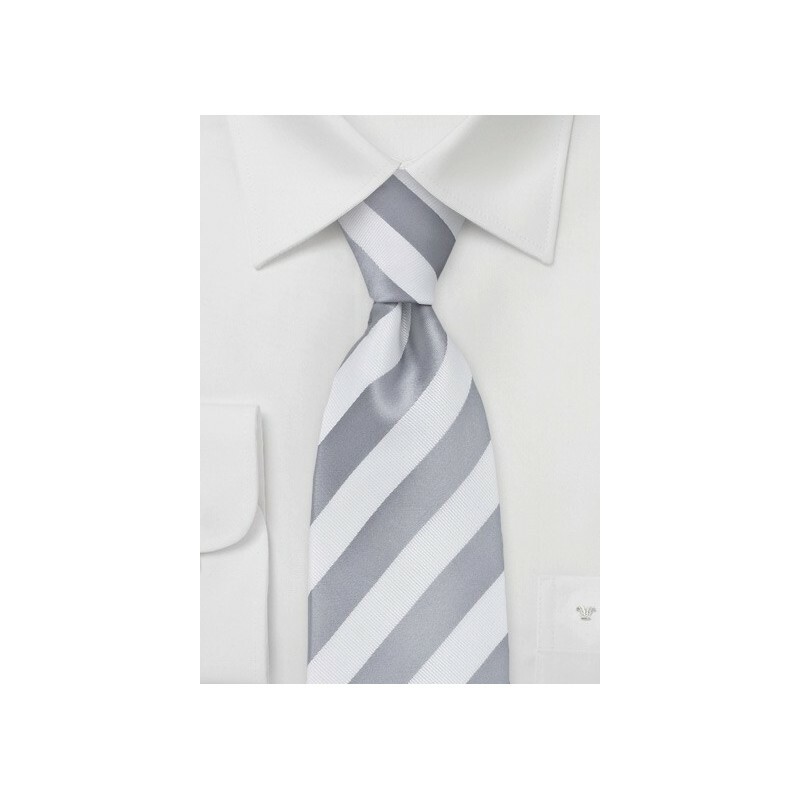 Made from a high quality microfiber, this tie is both stain resistant and wrinkle free. Your options are endless with this tie. One of our favorite looks of the season is seeing this modern tie paired with a white dress shirt, grey blazer and dark denim jeans.